"Great tool to increase our visibility ! " 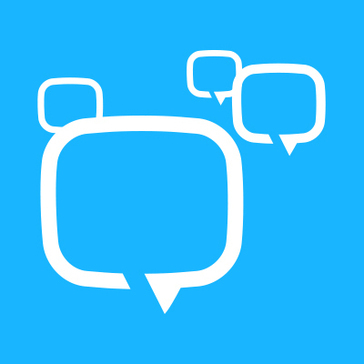 Using Sociabble is a great way to involve employees in our communication strategy. Curation content, internal event, marketing informations... all is integrated in one place ! Employees are free with the tool, they can share, contribue and customize what they want to say but with our "control". Employees become mature to lead their own curation and share their own content. Interface is realy intuitive and values content, most of all with gamification ! Campaign are really appreciated to put on the top most important information. Maybe other kind of campaign could be developed. Moreover, the implementation is easy in a Digital WorkPlace. To finish, Sociabble4Admin is a good place to pick content and to see what others companies can do. It is difficult to motivate every employee to contribute and to be active and share our communications every day. We lost about 10% of people every 2 months because the don't contribute anymore. It could be even better if Sociabble could integrate a real part for social media content management. It is not easy to see what you have already shared and to analyse the right time to share, there is no automatic shared content. We have to use 2 tools to manage social media content on our company accounts. Be sure that your employees are mature for this kind of tool and that they can easily access to the platform. The gamification has motivated employees at the begnning but now the system has it limit... But what is really good is that we would not have touched as much audience without them ! What I like most about Sociabble is definitely its simplicity / user friendliness. I have tested most employee advocacy platforms and Sociabble is, in my humble opinion, simpler / faster to deploy and use. Undoubtedly, admins will need a good training session but most users won't. - Value for money. Pricing is really OK.
To be honest, I can't think of anything significant. Experienced social media users who tweet or post regularly on social media platforms will not use Sociabble in most cases. They will keep their habits. But that leaves room for other users to emerge so this is actually not a problem. We do not use sociabble for our own needs, we use it to help our customers improve internal communication or boost employee advocacy programmes. For obvious reasons, I can't talk on behalf of my customers. "Sociabble the ultimate platform to manage and inform a captive community"
Easy to use and very intuitive. The possibility to play videos (like Youtube) or playlists (like Spotify, Tidal, Bandcamp..) directly in the interface is a great feature for my business. It's very easy for users to share content to their social networks. Sociabble has done a huge work to customize it's interface to get a unic user experience. Native branded mobile apps are awsome and really favorise user engagement. Thanks to new video connector, my users can upload their own videos into the platform, and we can provide exclusive content (live brodcasts, pre recorded videos...) to our members only!. The support team is very reactive and helpfull. Could provide connectors to networks like Snapchat or WhatsApp. A chat feature is missing. A great tool to manage a brand community with an awesome team who is very smart and reactive. Community management and brand advocacy. Internal communication and interactions inside my comunnity. Thousands of user generated content shared on social networks. Thousands of new members thanks to community and partners posting UGC or dedicated news and offers into Sociabble. Besides the stellar team (seriously, customer service is key when rolling out a new platform globally), the ease of use of the platform for admins and our users is the best part. Sociabble makes Social Selling fun and interactive - I don't think it's ever been so easy to convince people to add another tool/platform into their daily schedule. Because Sociabble is easy to use (and results are immediate), we were able to quickly create fans and ambassadors within our organization. We've run into some minor issues managing the platform from one channel across global audiences - but nothing that can't be fixed with some adjustments. The Sociabble team has also been incredibly helpful in finding work-arounds for us! We approached Sociabble with a need for a Social Selling tool. We wanted to activate a global Social Selling program across multiple regions and sales team that enabled our users to share content from their personal social channels. Sociabble accomplished this goal - and so much more! With this tool, our sales teams also have a living, breathing content library that channel admins can update on a regular basis as well as direct access to relevant content, organized by channels and easy to find via search functions. Additionally, the gamification encourages our very competitive users to get on (and stay on) the tool. We leverage contests and campaigns within the tool around key events and award prizes to our most active users. The feedback from the team has been overwhelmingly positive. Our users report "ease of use" to be their favorite aspect of the platform - with the ability to find, share and schedule content with the click of a button. "Great external and internal communication tool"
Sociabble is an user friendly platform with multiple features. It’s a centralized place to share all the company updates and to promote internal communication such as new joiners, team building initiatives...Additionally, it’s a great platform for formal as well as casual internal communication. It enables you to improve your external Social Media communication impact and to clearly see how it is distributed. Your communication is managed and controlled thanks to the post validation process. The gamification enables a quick adoption and regular use of the platform by your employees. Sociabble is frequently improving the platform and adding cool features with games such as the Football World Cup to keep users interested and to attract non-active users. Nothing much although it would be nice to be able to make some tweaks to the platform here and there. We had two main goals when we decided to implement Sociabble. The first was to improve the external Social Media reach of our official company communication and HR recruitment campaigns. Our reach has more than quintupled on Linkedin thanks to Sociabble. Secondly, as the company is growing globally, using with fewer emails we wanted to improve our internal communication and specially enable employees across all our offices to share their local initiatives, projects and team building activities. The platform is an effective and fun place for our employees to share information, more than 78% of our employees are active user of Sociabble. Engaging people in a employee advocacy strategy needs to be simple, practical, intuitive. We benchmarked several solution before to select sociabble. By far. Plus : the new functionalty allowing us to share engaging modules from one platform to another was a re is more that a nice to have. So far not much - Would have liked a significant decrease of the license price when upgrading to more users. Ask a demo and a trial. You'll like (or not) but as simple as that. People here do not have much time to spend on social medias. We needs a much more fast way of delivering them content to be shared. On another hand they can now submit their own content to be shared. Win Win we immediately increased the number on content sharing around our brand. "Outstanding Platform with Outstanding Support"
The dedicated and tailored support we receive from the Sociabble team is invaluable to our partnership. Though the platform itself is amazing, it is the support that takes our experience over the top. For the platform itself, the best part for my team is the highly customizable nature of the platform. This allows us (as an agency) to create a setup and environment appropriate for all of our clients, regardless of their size and expertise. I don't have any complaints about the platform or our relationship with Sociabble. The only 'cautionary note' I would offer is that since the platform has SO many incredible features, it can take a while to learn how they all work. But even if you never get into advanced features and customization, the platform's primary functionality is easy to pick up and immediately use. I highly recommend at least doing a trial with Sociabble. Once you have a hands-on experience in the platform and see all that it offers, I'm willing to bet you'll be hooked. We are an agency, which deploys Sociabble as part of a suite of Analytics tools. We have utilized other Social Selling platforms in the past, but Sociabble has helped us increase engagement and overall platform utilization. I would highly recommend it to anyone looking to increase social engagement within their team or their clients' teams. "A complete platform to engage all the employees of its company"
The simple ergonomics of Sociabble: the tool is really aimed at 80% of users who are looking for a simple tool to make their watch and/or reshare on their social network. The number of features available that constantly increases! There is always a novelty that makes it possible to animate the platform, to engage its users effectively or to communicate easily. The support made by the consultants is a real plus, which allows to put the power of the platform in the service of its strategy and to concentrate on the important subjects of the company. Sociabble has a great experience thanks to the many projects carried out with prestigious clients and this is felt in their way of advising us. Sociabble4Admins, a platform dedicated to admins in which you can draw content already ready to use and publish it on its instance in 3 clicks. A significant time saver to animate its platform, especially in the launch phase. Guided courses and interactive help to train and train users easily! There are so many features that without the help of a CSM and even if the platform offers detailed statistics it is not easy to decipher them. It is difficult to have 100% of active users, the most experienced will not use the platform, keeping their habits. The gamification can lead to excesses on the part of some collaborators. With the changes in algorithms on social networks and the widespread mistrust of consumers with regard to the discourse of major brands, our visibility on social networks had recently fallen. thanks to Sociabble, our employees are now responsible for conveying our messages to their networks. On some topics, we do even better than before thanks to the users who really appropriated the message. For the employer brand, it is still a way to relay the offers and show the digital side of the company. Recruiting the best talent requires having a community engaged on social networks to promote the brand and make its initiatives shine. "The best friendly Internal Communication and Employee Advocacy Tool ! " The more important is that user features are very user-friendly. The Admin have to do minimum training with the employees. I also really like that everyone being able to schedule his posts. The admin take 10-15 minutes in the morning to schedule them, then Employees doesn't have to worry about it for the rest of the day. Simplicity way to share articles and pictures - Alerts & stats are easy to use and understand. "A clear view for all the Wedia team on our Social Media posts and Wedia's Life"
We appreciate a lot the "Kanban" mode, the language organization of the content and the capacity to create an "internal" channel to allow employee sharing about Wedia Life. Great statistics view, simple and efficient. Twitter posts disappear after a few days (>60 days), but it would be useful to keep it into our channels. We would like to be able to change the newsletter content (not only look and feel). Manage video content would be useful also. Pardot / SalesForce integration would be great. Try it definitely, the trial period (for serious need) will convince you. It's more open than LinkedIn pro and more professionally oriented than Hootsuite for pro. Make retweet and sharing of official content by the employees easier and faster. Giving an overview and saving time is key. We need to differentiate the public content for German, English and French use without any supplementary effort. "Certainly the best tool for employee advocacy"
Frankly, it is hard for me for tell you what I dislike in Sociabble. Socciable helped me to simpllify internally the sharing of content on social network. It is very powerfull and usefull for social sharing also because you are sure that your sales team will get the right content. You can also create internal channels to generate internal communication. "Sociabble - The answer to all your questions"
It is hard to chose one thing but I'll chose its intuitiveness. You learn to use Sociabble in only a few minutes, either you are a digital people or not. It could sometimes be a little bit annoying to not be able to implement the functionality you wish but the Sociabble team is really attentive to our needs. Do not hesitate, you will not regret it! "Optimum balance between user experience, internal communication objectives and employee advocacy"
I strongly recommend the tool to inform and engage your employees. The success of the implementation lays on the strong commitment of internal project team and the good coordination with Sociabble teams. "Powerful employee advocacy tool with simple and fast user interface"
the internal competition for posts and reposts is fun but a bit unfair as not everyone has the same time to devote to it, maybe provide a weighted score depending on seniority or sub rankings between genuine peers? The mobile app. The level of gamification. The Integration with our LDAP. The newsletter feature (emails keep on being important :) ) The numerous social networks integrated. Most of our employees use it through the mobile app. That was a key part of our benchmark when we launched the RFP. Gamification was also crucial. The first step was to communicate to employees easily. Then we managed to maximize engagement for content sharing. It represents a susbtantial part of new business. We also use it for recruiting purposes. "Great internal communication tool for your colleagues"
I love the idea of challenges on the platform. It is easier to engage your colleagues : they can promote your content on social medias and win gifts. Win win strategy.The platform is user friendly and very easy to use ! We are trying to engage more our colleagues on social networks. We want them to retweet or repost the company contents so that we can reach more people. I liked the speed of implementation and I really appreciate the quality of the very intuitive app. The gamification of the platform is a key element for the adoption. Really nothing that I really dislike. It is a good product. We increased significantly the visibility of our brand. Also this is a great tool for internal communication. We have been able to remove all painful corporate emails that nobody really reads by an attractive way to communicate on a unified channel. sociabble team, the multiple uses of the tool. We had 2 months to set up the tool for our 10 000 employees. The team was so efficient and really understanding our needs. I really recommand the tool for those who want to have an internal communication tool as well as a employee advocacy tool. "The Sociabble platform offers many functionalities both via the app and desktop." Platform works intuitively and is easy to adapt. Presentation of content is very attractive and items are easy to share. Experienced social media users can start on Sociabble very easily. What works really well are the statistics. Sociabble measures almost all interactions on the platform and creates a useful dashboard automatically. Also there are a lot of engagement tools available (newsletter, campaigns, ranking). Resizing images when creating content manually. Being an administrator, it is sometimes a bit complex. Certainly in the beginning. But the support from the Sociabble team is excellent. I would certainly recommend this platform to organizations who want to improve their internal connection. It is fun and easy to work with it. Sociabble connects colleagues who work worldwide. Because it is easy to share content regularly you can stay informed. Sociabble also makes it easier to distribute corporate content. This helps colleagues to spread corporate messages at the right moment. "Using It to share content on Social networks, for internal communications , online media watching ,"
Sharing content easily on Social media and using It for internal communications purpose. Using It as a library is very interesting too to learn etc. Not Easy to draw precise statistics and Analysis without sociabble support. Not possibility of organizing content with hierachie or subfolder. With sociabble , I am improving the ereputation of brands and company and I am raising awareness on our initiatives. It is also an interesting tool for social selling. The benefits are that it is an easy way to raise awareness and trust trough a mastered distribution of our content . "The best in class solution for employee advocacy"
The simplicity of usage for employees, the gamification process to incentive them to share, the reactivity of the team in term of support, service and new features integration. Some features provided by the competitors are missing, especially if you are looking for talent acquisition instead of new audience reach. Some social networks are missing, such as Twitch but it seems that it is due to their API limitation. With the decrease of the reach of Facebook, we were looking for a workaround to reach new audiences and capitalize on the contents that we had produced. Beyond the reach, the engagement due to your network's recommendation has increased drastically beyond our expectations. "Perfect to promote Social Selling into a company"
Sociabble is a very simple and easy to use tool : Features, User Interface and Gamification are what I like the most. Be careful no to follow too many external media sources. It could take too much time for users to find the good article. Promote our Content Marketing and improve our reach on Social Media. "Easy news/information sharing for employee advocacy"
"The best way to amplified your brand visibility on social network"
To many updates on the social apps, there is no other bad point for this platform. "Great tool for employee advocacy"
Nothing at the moment. Sociabble and its teams improve regularly the platform to match with clients and employees needs. I like the variety of engagement tools (challenges, quizzes, etc) and the ability to communicate with ambassadors directly on the platform. It would be helpful if the statistics on the platform could be sorted by a customizable date range, as opposed to "last 7 days', 'last 30 days', etc. I would recommend that they focus as much on training the admins as the ambassadors. It is a good way to quickly diffuse news throughout a large company and make sure employees have the resources to advocate for us online. "Great user experience and very usefull"
It is the only application that allows you to get acces to pre-formated social content that you can push easily on your prefered social network. It really creates the difference as user with recent fresh news and activity. Before using sociable, I had to find corporate news on my owne and to re-write it before pushing it on my social network. It was time consuming and not very efficient. Today, all employees has access to a full wall of informatio and can select some they want to push. It create great activity and atracativeness for our brand as it is regulary posted on different social networks. "Easy to use, easy to explain, easy to recommend"
As a user, even if you are not a digital native, you understand immediately how it works, especially on the mobile app. As an admin, it is a real pleasure to create new challenges for the users: gamification is very powerful! Thanks to Sociabble, you can shape a corporate spirit, or more exactly, the employees shape this spirit and become true parts of it. It reduces the top/down logical in management. "Great tool with lots of value"
the tool offers a very attractive and easy usability. Implementation into the organisation is also very easy and straight forward. setting up a proper strategy to launch employee advocacy with sociabble is the key to success. Plan proper trainings with your employees. We are motivating our employees to share our own content in their private accounts. This increases the digital social relevance of our products. Also we inform our employees about internal and competitor information. "brilliant and very complete employee advocacy platform"
Sociabble is very easy to use for both administrator or user. hard to say... Sociabble is really well thought ! Engage people in sharing content (both internal or external) increasing social impact. "Sociabble brought the light in to our Social Media Employee Programme"
Gamification like challenges, campaigns or badges. It's also scalable to whatever comes to your mind. The mobile app is really a crap. It asks for an update every day. Out of all available advocacy tool on the market, this one is really the best so far. I did a huge research across tools and markets before i chose Sociabble. Authenticity and trustworthy of brand messages. "Very intuitive and easy to use"
Very easy to use, very intuitive. it improved our brand warness and to communicate very easily, even for member of our team that don't necessarily like doing it. Share business intelligence for our team, share our successes to our community, very easily. Having an homogeneous communication within our team towards our community. "Sociabble - an impactful, easy to use way of sharing content. Try it!" The ease of use and simplicity of the product, whether I'm at my desk or on my smartphone. Monthly contests are also nice and keep the team engaged. Not much. The only quibble for me is not having more visibility of when I have already scheduled a sharing action and I want to schedule another. But this is minor. We were looking to build greater employee sharing of our great content. There has been a significant positive impact from rolling out Sociabble and we will continue to utilise. "Sociabble is a wonderful communication tool "
Sociabble is very user friendly especially on smartphone. It requires quite some work to implement and promote. But it is rewarding. It's a real help to promote digital culture in my company. We now have a network of regular company ambassadors on social media. "Very Usefull to start and developp communication flow"
Nothing important, juste sometimes not easy to find some functions in the Admin. Simplify social network for employees, increase our communication on social media. Some feature orgiginally available not in the mobile app. But they're making progress ! * We monitor all Sociabble reviews to prevent fraudulent reviews and keep review quality high. We do not post reviews by company employees or direct competitors. Validated reviews require the user to submit a screenshot of the product containing their user ID, in order to verify a user is an actual user of the product. Hi there! Are you looking to implement a solution like Sociabble?